GTI Resources Ltd (ASX:GTR) has released its quarterly activities and cash flow reports, with news revolving around its Meekatharra Volcanic Massive Sulphide (VMS) Project in WA. GTR has been busy reprocessing available geophysical data and is set to commence on‐ground exploration at the project, targeting VMS-style base metal mineralisation. 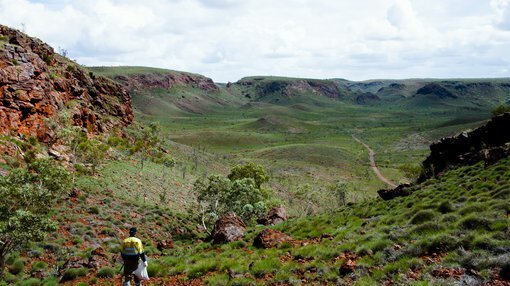 The Meekatharra Project (E51/1556) is located ~55km south of Meekatharra in the Eastern Goldfields of WA. The Project is underlain by a sequence of mafic and felsic volcanics, which host a number of VMS base metal prospects and deposits within and adjacent to E51/1556. 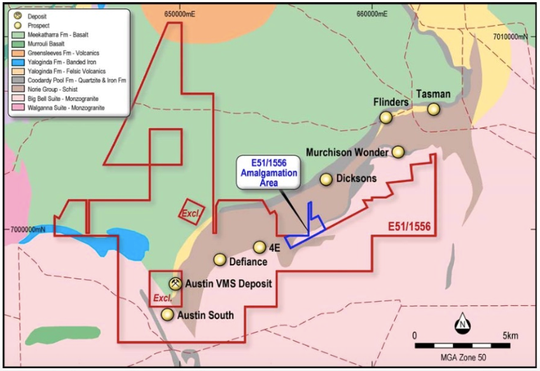 This includes the Austin VMS deposit, located within an excised licence in the southern‐central part of the project area, and the Murchison Wonder, Tasman and Flinders prospects to the northeast. The Austin VMS deposit contains a reported mineral resource, comprising Measured, Indicated and Inferred categories of 1.48 Mt at 1.02% copper, 1.39% zinc, 3.51 g/t silver and 0.25 g/t gold prepared in accordance with the JORC 2004 Code. Previous owners of Meekatharra identified two VMS prospects at the project — the Defiance and 4E prospects — which have returned anomalous copper and zinc results, including 4m at 0.18% copper, 8m at 0.34% zinc and 10m at 0.23% copper, from first pass drilling completed during 2010. Exploration of these two prospects is at an early stage, with only three RC drill holes, to a maximum depth of 252m, having been completed. Recent reprocessing and interpretation of available geophysical data sets has identified potential new target areas within the project area including the prospective felsic lithologies along strike to the northeast of the Austin deposit and areas to the east of the Defiance and 4E prospects. These target areas will be the focus for GTR’s on‐ground exploration programs, which are scheduled for the September quarter 2018. GTR’s annual general meeting of shareholders was held in Perth in May 2018. Ten resolutions were put to shareholders and all were passed. During the quarter, GTR completed Tranche 1 Placement of 13,975,000 shares at an issue price of 1.7 cents per share. Following shareholder approval, the Tranche 2 placement comprising 42,300,000 shares at an issue price of 1.7 cents per share was completed on 8 June 2018, for a total capital raising of A$719,100. The new funds raised will be used to further evaluate the prospectivity of the Meekatharra Project as well as assessing additional opportunities outside of the project. GTR appointed Nathan Lude to the board as a non‐executive director of the company, effective 3 July 2018. Nathan has broad experience in asset and fund management, mining and the energy industry. He is currently Executive Director of Pura Vida Energy NL (ASX:PVD) and is the founding Director of corporate firm Advantage Management. Yohanes Sucipto stepped down as a director on 3 July 2018.